The City of West Hollywood is rolling out a new system for garbage and recycling along Santa Monica Boulevard sidewalks. This week, the City is installing 18 Bigbelly solar-powered compacting containers along one of the most walk-friendly corridors of the City. The receptacles are strategically located along Santa Monica Boulevard in heavily-pedestrianized spots between Doheny Drive and Fairfax Avenue. Installation takes place throughout the first week of March 2015; new receptacles will be fully operational by Thursday, March 5, 2015. Each Bigbelly receptacle measures 25” W x 26.8” D x 49.8” H and uses built-in solar panels to run motorized compactors, which dramatically reduce waste volumes to help create greener, cleaner streets. The capacity of each Bigbelly is 150 gallons, which provides five times the capability of a traditional container. This added capacity helps to prevent overflow of litter and the solar-powered compacting system is a clean-energy technology. In addition, the receptacles have built-in cloud computing technology to digitally signal to trash collectors that they have reached capacity and need immediate attention. During special events, such as West Hollywood’s Annual Halloween Carnival, the City will utilize cardboard event containers to provide supplemental capacity for street-side waste. The Bigbelly bins, which feature brightly colored graphics on black backgrounds, will simultaneously collect trash and recyclables. The receptacles have a custom wrap, which includes public awareness messaging. Slogans on the exterior of each receptacle encourage people to “Pitch It, Don’t Ditch It” or to “Keep It Clean, Don’t Trash West Hollywood.” Additional printed information explains that bins will collect garbage and recycling, combined. Approximately 85 percent of materials collected in the City’s traditional street-side receptacles are recycled. The Bigbelly bins will ensure a continued high rate of recycling. The City of West Hollywood’s contracted waste hauler, Athens Services, utilizes a computer-controlled, state-of-the-art facility designed specifically for the processing of municipal solid waste. Its Materials Recovery Facility (MRF) can process 5,000 tons of mixed materials daily to sort and divert waste, recyclables, and organic matter. Bigbelly solar-powered compacting containers are in use around the country in thousands of cities, college campuses, and entertainment parks. 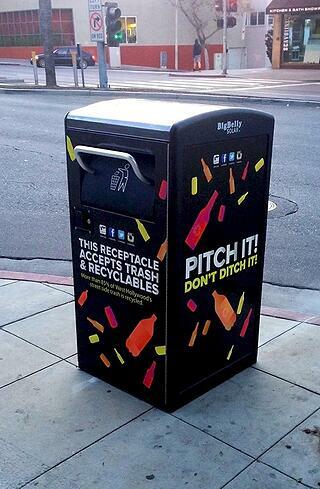 Bigbelly receptacles have been very successfully deployed locally in Glendale and Santa Monica. Bigbelly is the world’s leading provider of enterprise waste and recycling management solutions with more than 1,500 customers in 47 countries. 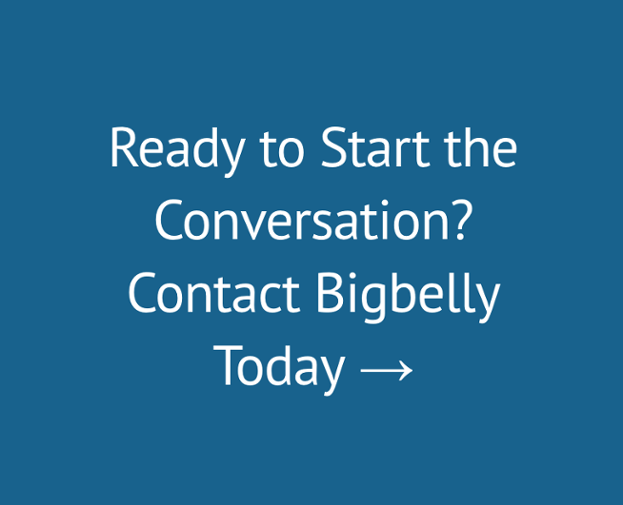 For more information, visit www.bigbelly.com. Bigbelly containers are distributed by Waxie Sanitary Supply; for more information visit www.waxie.com. For additional information regarding the City of West Hollywood’s new solar-powered compacting containers, please contact the City’s Department of Public Works at (323) 848-6375. For people who are deaf or hard of hearing, please call TTY (323) 848-6496.